Today, fitness has gained much popularity, and has taken the world by storm. Every other day, there’s something new that’s being said and something new that’s being read! So, what’s the perfect answer? Whose advise should we adhere to? With innumerable queries and questions, and very few reliable answers to fall back on, fitness has become a much sought-after topic of discussion. In a perfect world like the one we live in today, everything boils down to perfection- The perfect body, perfect weight, perfect skin, perfect job, and the list goes on. But, what is the true essence of fitness and health, and what can we do to salvage a failed attempt at understanding ourselves and our bodies better ? Yes, I am as inquisitive as you are! At Wellintra, our main business is trainers. So we have decided to focus more on well known fitness trainers and understand their philosophy towards fitness. So, I caught up with Fitness Expert, Pilates and Aqua Fitness whizz, and the Proprietor and Owner of The Body Craft House, Mrs. Rajni Maker. Being a certified Rehab and Personal Trainer, she is also a highly trained expert in Aqua Fitness, certified from Singapore. She has reached a number of milestones in her fitness journey, from when she decided to pursue her dream career, and passion, to where she is today. In a heartfelt interview, Mrs. Maker was kind enough to answer a number of questions to help me satisfy my curiosity, and our readers understand fitness a little better today, than they did yesterday. Cardio or weight training. What do you recommend for weight loss, and why? For a healthy weight loss, a combination of both, cardio and weight training is advised. It cannot be only cardio or weight training individually. People who stick to only cardio will lose a lot of muscle and are going to have a slack body. For a lean and strong body, weight training is as essential as cardio. Weight training helps you build muscle. The fat tissue gets replaced by the muscle tissue. However, since weight training focuses more of an inch loss than weight loss, it might not be detected by the weighing scale. Since weight training promotes fat loss, and cardio provides a high calorie burn, I would say a combination of the two is ideal for a successful and healthy weight loss. How do you keep your clients motivated, and what do you do to keep workout boredom at bay? I am constantly thinking of different workouts to add to my routine, in order to keep my clients interested. I focus on doing a variety of workouts, and I seldom repeat the same workout. I keep my clients motivated by providing them with positive reinforcement throughout the session. I request their feedback at the end of each class, so I can take into consideration their likes and dislikes. From Circuit training and Power Yoga, to Pilates and Tabata, I’m always thinking of a variety of exercises to facilitate the use of different forms of equipment during each class to keep workout boredom at bay. Your advice to someone who has just taken their first steps towards their fitness journey? Fitness is a journey not a destination! And it’s a long one where, eventually, the hard work pays off. According to me, accountability is also essential to remain determined and consistent on the road to your fitness journey. Furthermore, make sure to give your body some rest to avoid soreness, and always remember, avoid comparing your progress to that of others. As a beginner, your progress cannot be compared to someone at an intermediate level of fitness. So, keep at it, be patient and persistent, and you will achieve your goals in no time. One of your favourite workouts, or an activity you swear by, to keep the weight off? My favourite workout to ward off the weight is Tabata. It is a High Intensity Training Program that incorporates strength and cardio. You can burn up to 500 – 800 calories in a session. But while training my clients in Tabata, I make sure to simultaneously include strength training exercises as well. With a strenuous workout like Tabata, strength training is essential in intervals to keep the joints from straining. How soon can one notice changes in the body once they start working out? 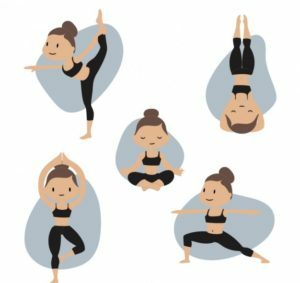 As Joseph Pilates said, “In ten sessions you will feel the difference, in twenty you will see the difference, and in thirty, you will have a whole new body.” I really vouch for this when it comes to starting a Pilates workout. How do you start a personal training session for a client who is having a bad day? If any of my clients is having a bad day, I wouldn’t be harsh on them. 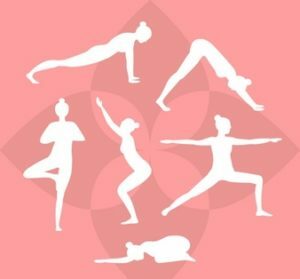 I would probably start the training session with some breathing exercises and Shavasana, coupled with a few mild stress release techniques, to help them relax their body and hence, their mind. If the client wants to share their feelings with me, I make sure I can be a good listener so they feel heard and understood. On that particular day, my prime focus would be to help my client relax their mind and body before I ease into a not-so-strenuous workout session. If you’re told your client has 20 minutes to spare for their workout, what would your go-to workout be like? My go-to workout would definitely be a Tabata workout. Research has shown Tabata can help you burn up to 15 calories a minute. It has a super after-burn effect, which means you’re burning calories even after the workout is done. In case of muscle soreness, what do you think is the best form of recovery? In case of muscle soreness, I recommend stretches. Stretches help ease the strain on the muscles and body. Stretches help ease the strain on the muscles and body. Depending of the intensity of soreness, I would also recommend using foam rollers, getting a massage and the use of ice packs. Coconut water helps replenish the body and restore electrolyte balance, too. A two-hour workout or a 45 minute one. What works for weight loss? The quality of a workout is more important than the time duration. As per ACSM, it is recommended that, for a realistic weight loss, a person should strive to burn 300 – 400 calories during a workout session. The workouts should be consistent and repeated 5-6 times a week. The daily calorie deficit should be 500 – 1000 calories through regular physical activity, depending on the target of weight loss. I saw the positive effects that exercise had on my life, and I wished to help others experience the same benefits as I did. I am very passionate about teaching. Fitness has always been my passion and first love, so it was a no-brainer for me to take it up as a career and convert it into a business. Moreover, as and when I was approached by people with injuries and medical conditions, who wanted to lose weight, I decided to step my training up. So, I took a trip to Singapore to get my Aqua Fitness certification from FISAF, Singapore to help people overcome their shortcomings or get fit in a new and challenging way. The one form of workout you do not agree with? Virtual Fitness Training. Exercise is not a cookie cutter where you can take a cutter and distribute a piece of the same cookie to everybody. Every exercise does not work for everyone’s body. I do not agree with extreme fitness forms that strain the body and put somebody’s health at risk. I believe in customizing workouts, even if it is in the same group session. I can train clients from beginner to advanced levels of fitness, in the same batch. The beginner would do an easier variation of the same form of exercise that a client at a more advanced level of training would do. At Body Craft House, I believe in developing a plan which would suit an individual’s requirements and needs. I believe that a common fitness plan cannot work for everyone. Your message to every individual who feels like being thin or fit defines them. Your personal mantra for life, and what do you do when the “going gets tough”? The tougher you are, the easier life’s problems seem. So always remember to be physically and mentally strong. Give us an insight into the aqua-aerobics workout. Would you recommend it to a beginner? Aqua Fitness is one of my favourite forms of workouts that I train my clients in. It is a mixture of science and fitness. The body weight reduces to 10% in the water. So, if the client weighs 60 kg, they would weigh 6 kg in water. Water is a medium which has 13% more resistance as compared to land. 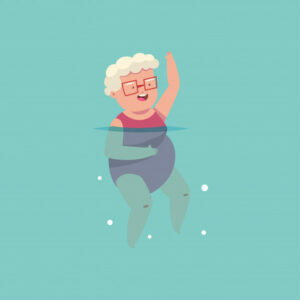 I would recommend Aqua Aerobics to everyone, age no bar. I could make it challenging enough or easy enough for a senior citizen or someone with medical conditions. It is safe on the joints and is a low-impact form of workout. Suspending equipment such as, aqua joggers and belts, are used to make it a zero-impact workout since they make a person float on the water. Water Pilates is also an extremely beneficial form of workout to help tone the core muscles. One exercise or form of work out you would term as a “workout hell”? It is not the form of exercise but the intensity of the exercise that can make any workout hard. For e.g. even a simple Power Yoga or a Pilates session can be made challenging enough to be termed as a “workout hell”. It depends on how you plan a workout. The one fad you’ve noticed in the fitness world you do not agree with? Being skinny or a size zero. I believe strong is the new skinny. If you were given the chance to change one thing about your career, what would you do differently? As a trainer, I make sure to keep upgrading myself as and when I can. I am very happy and content with my career and learning process, and so, I would do nothing differently. I wouldn’t change a thing. A new development in research states that the intensity at which we exercise is key. 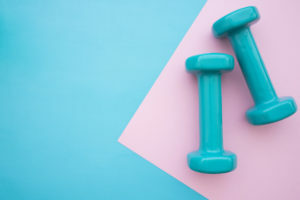 People are now aiming to up their fitness game, and they are turning to various forms of workout for muscle building, bone strengthening, and strength training. Hence, it is imperative you choose a trainer you feel would be able to help you on your journey to fitness or weight loss. Yes, the fitness world is evolving, and you should make an attempt to take the first steps (if you haven’t already), too !